Perfect Target is a 90's action film courtesy of Lionheart and Double Impact writer/director Sheldon Lettich. I'd never heard of it or even it's star, Daniel Bernhardt until I came across this somewhere recently online. So I snatched up the DVD in one of those old clear snap-cases for dirt cheap. Let's dig in. I'll be honest, the only selling point for me on this was the fact that it was a Sheldon Lettich film. I didn't know who Daniel Bernhardt was, and though Lettich hadn't really made a solid or entertaining film since the early 90's when he was making Van Damme a breakout star, I held out hope that there was some solid work in here considering The Hard Corpse was a pretty big letdown for me. The cover for this didn't help, but the names featured on the cover under Bernhardt's sure did. And those would be Robert Englund and Brian Thompson. SOLD! 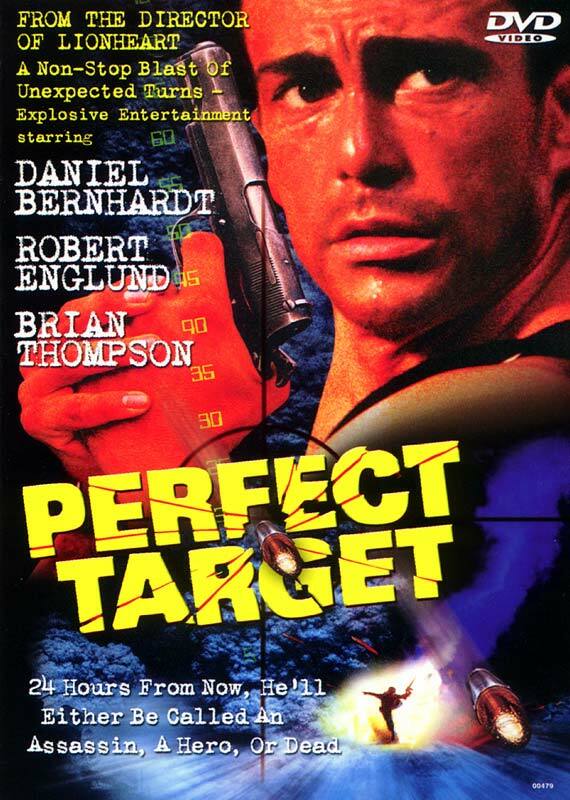 Perfect Target was a good action film. Not great, but much better than The Hard Corpse, another Sheldon Lettich directed film I recently saw. There's nothing about it that really stands out, other than it's impressive supporting cast with legends Englund and Thompson delivering the bad guy goods, but I wasn't really expecting much either, other than a good time. In that department, it delivered. While it wasn't filled with wall-to-wall action, there was enough in the beginning and end to satisfy, with the remainder of the film's charm lying squarely on the shoulders of the 3 leads, Bernhardt, Englund and Thompson. Daniel Bernhardt was a big surprise for me. For one, somehow I'd never heard of him, but after seeing this, I know I've seen him somewhere. After some digging, I realized where. He was the "upgraded Agent Smith" in one of the Matrix sequels. I have to admit, I really liked him. He reminds me a lot of Van Damme in his early days, only a much better actor. But even then, his slight accent (Swedish I think?) is highly noticeable and with some of the dialogue, he sounds so much like Van Damme it's eerie. But he shows a lot of promise and comes across as a very confident and charismatic action hero lead in more ways than I was expecting. It's a shame he never made it into the big time, because he's a very likable guy. He's been a busy fella though, who continues to work today. Here's to hoping he'll find his big mainstream breakout. I'm going to assume that this is the last good Sheldon Lettich film. I'm not going to say he's the best director or action director out there, but there was something very special with Lionheart and Double Impact. A very simple, yet very 90's and enjoyable way of shooting that is hard to pin down, yet it's unmistakable Lettich. Double Impact would have to be his crowning achievement in my opinion. That's pure 90's action cheese at it's finest. Looking into his filmography, it would seem that he was never able to match that kind of entertainment or quality again, but he will always be one of the forefathers of the martial arts/action movement of the late 80's/early 90's. He helped jump start it by writing Bloodsport and continuing to work with Van Damme a few more times, igniting his career and then attempting to sustain it during Van Damme's lull with films like Legionnaire and The Hard Corpse, but by that time, both of their careers had already been in a steep decline. 2006's The Hard Corpse would be the last time Lettich would direct, but Van Damme continues to work tirelessly, with some solid and memorable moments sprinkled throughout, with his Van Johnson show on Amazon being such a spirited highlight. This won't become one of your favorite new action films, but it's a helluva lot better than a lot of these in the same genre. For the cheap price it goes for, it's absolutely worth your time, even if it's just to see some villainous turns from Robert Englund and Brian Thompson. 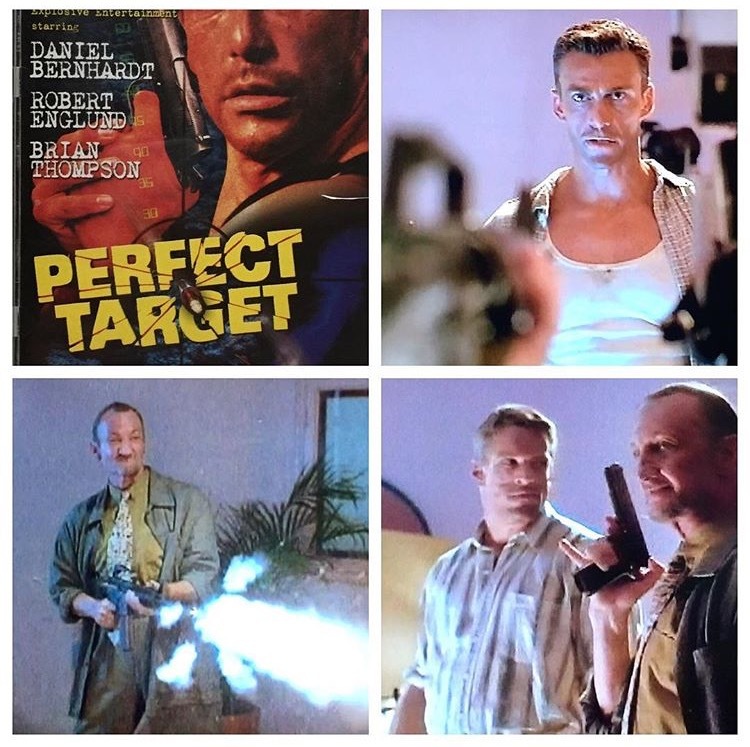 Daniel Bernhardt was a pleasant surprise, and absolutely carries this film with his macho magnetism. If anything, this convinced me to seek out his other films.....finally.